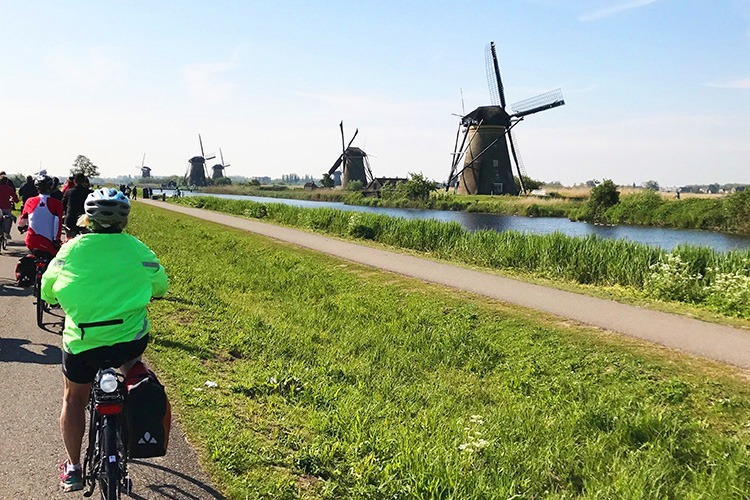 … it was lovely, from a luxury barge to great leisurely cycling! 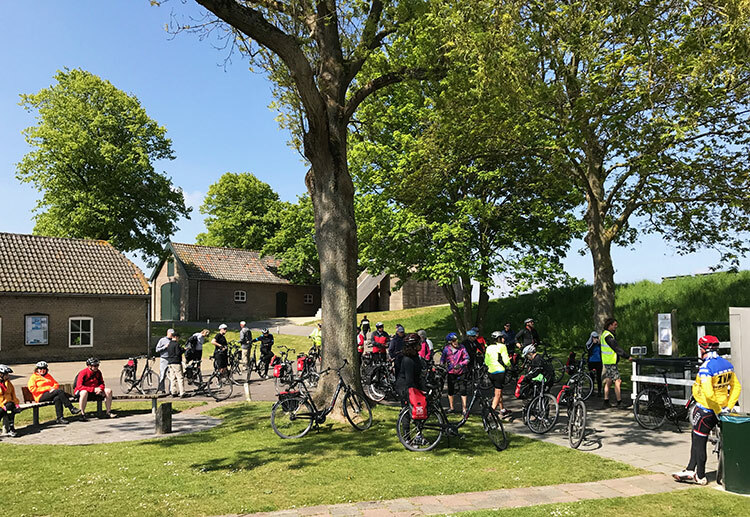 But meeting the group in Brugge was only the beginning of what was to become a superb week of cycling: through quaint villages and towns, in Antwerp along picturesque canals, and in Kinderdijk through pastoral countryside. 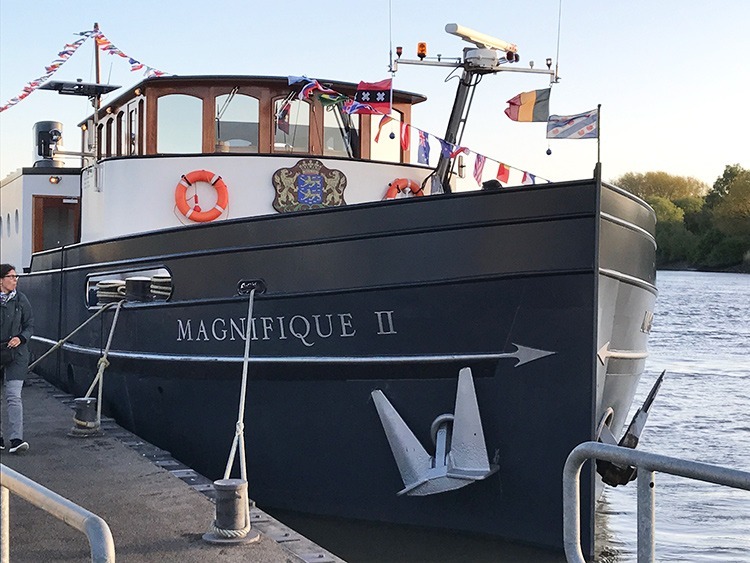 Each day was rounded out with a historic overview provided by our guide Tom, excellent food cooked by the chef onboard The Manifique II, the smiles and attention of the rest crew and a fun group of guests from around the world. Everyone cycled at a pace comfortable to them and there were days when some stayed aboard to relax and take in the views from the hot tub on the top deck. 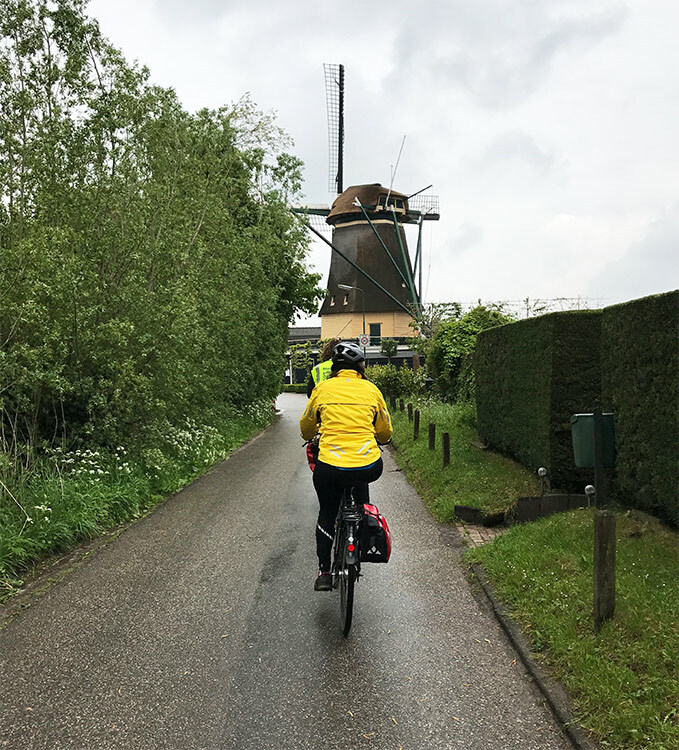 It was evident that the cycling routes were carefully selected to suite different interests. 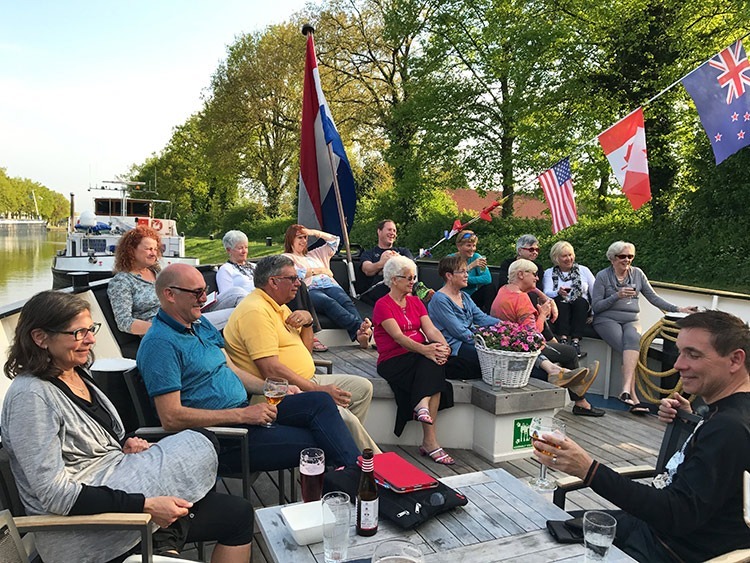 Our Skipper welcomed us and provided great information on the boat and the running of a barge through European canals. Even the heavily industrial harbours were beautiful in the early morning sunrise. Feeling inspired? 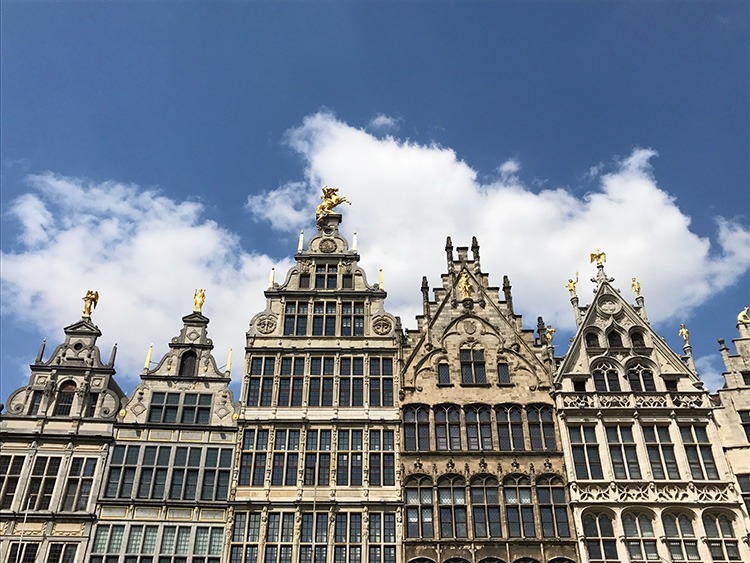 Now it’s your turn to explore some of the Europe’s most beautiful cities including Bruges, Ghent, Antwerp, Utrecht and Amsterdam on our Bike and Barge holiday. Always a very popular choice, so book in advance!